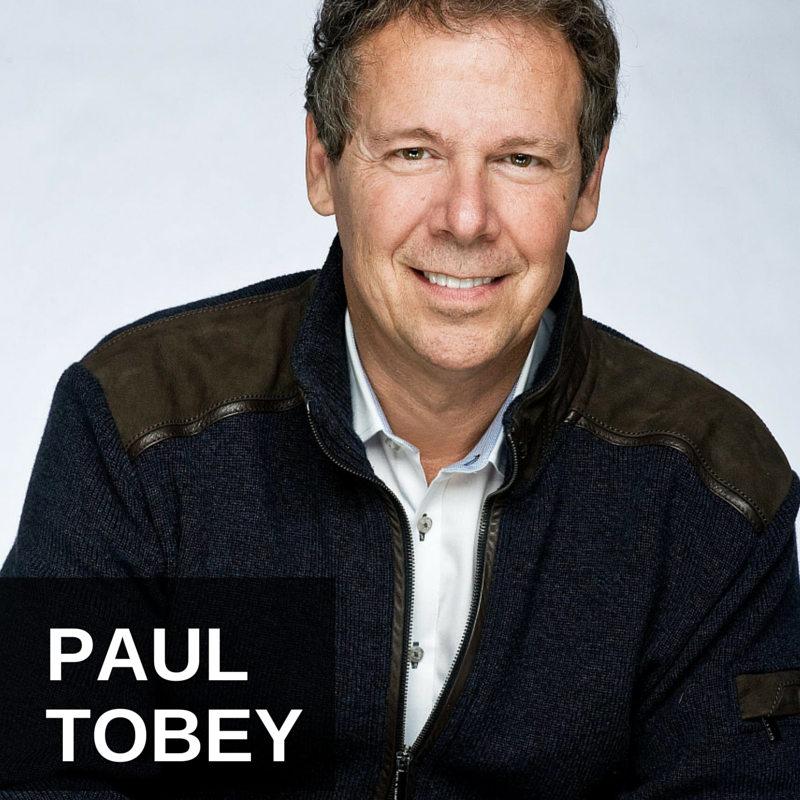 Paul Tobey is a digital marketing, data mining, SEO and social media expert. He’s the CEO of Training Business Pros, which coaches executives in public speaking and consultation marketing. He’s also a renowned jazz pianist, producer, arranger, composer, and director. Tobey discusses his key hypnotic marketing concepts that will increase online conversions. He explains how people can leverage the Internet and social media to grow their reputations. Tobey believes everyone should follow his basic rules of marketing, whether marketing a business or oneself. He shares some advanced Internet marketing techniques. It’s my pleasure to welcome Paul Tobey to the show. He is the founder of Training Business Pros and he’s an expert on digital marketing, data mining, SEO and social media, CEO of Training Business Pros, as I mentioned, also the founder, and he is a renowned jazz pianist. He’s a producer, arranger, composer and director, so we are talking to a multi-talented guy today. Paul welcome, how are you? Paul Tobey: I’m doing great, thank you. How are you? Jason Hartman: Good, good. You’re coming to us today from Toronto, Canada. Great place with an interesting mayor, by the way. We all know about that guy. And you just got home from Miami. Now, I don’t know why you left Miami to come back to Toronto in this weather but it took you three days to get home due to global warming, huh? Paul Tobey: Well if you were in Philadelphia without the proper attire, because of course the airline kept our bags, and you were to walk out from the Philadelphia airport between there and catching a bus, I think it was three degrees. And we were really unprepared for that. Paul Tobey: And then we had to drive home. It took about 24 hours to get home from Philadelphia. Because Buffalo had just this massive storm and we’re trying to navigate it, and it wasn’t my own SUV, so it was kind of a challenge. And we just got stopped dead in Buffalo and had to stay the night. Well I’m glad I could be here, thanks for having me. Jason Hartman: Well I’m glad you’re here with us and it looks like we all have more to worry about ice ages than global warming. Well hey, talk to us first, we’ve got several areas to cover and I think this is going to be great, a lot of good media content for our listeners. But what are some of the key concepts to what you’ve referred to as hypnotic marketing? That will really increase online sales and conversion? Paul Tobey: Hypnotic marketing is essentially the art of activating someone’s natural will to learn. The only reason why people would read content is if they get curious enough to read it. And hypnotic marketing is essentially taking someone’s subconscious mind, focusing it in a complete focused mental state which says the only thing that matters to me is what comes next. So if you can captivate someone’s subconscious from that perspective, and of course it does take some formulas and strategies, it’s not just, you can’t just say oh I’m going to be a hypnotic copywriter. In fact I got a lot of this stuff, I’m sure your audience would be familiar with people like Joe Vitale, Gary Bencivenga, even P.T. Barnum in a Customer’s Born Every Minute. Jason Hartman: Well, he’s the first one maybe. P.T. Barnum might have been the founder of this whole idea. Paul Tobey: I believe he was certainly one of the catalysts for this marketing but essentially you choose your words so carefully that says hey, I cannot not pay attention to this. I can give you some examples. Paul Tobey: Okay, so for example if someone were going to, let’s say a webpage. Typically what businesses tend to do is they throw up their logo and their company name, phone number, maybe a picture of the building. This is not the most important thing to the consumer. It’s not the most important thing to, if I were looking for you to do something for me. What I would like to see is a really good head line that captures my attention and interest. And basically what that headline needs to do, it needs to be the biggest thing on the page, I cannot possibly miss it. And I think, I’m sure your audience would agree, what’s most important is what’s important to the consumer. Is your logo important to the consumer? Is your company name important to the consumer? And the answer in most cases, and I’m sure you would agree Jason, is no. So what do we do instead? We create this headline that says okay, how can we capture their attention and interest to how do we inform them that they’re in the right place, and three what is the one thing that you need to do in their subconscious for them to stick around and read more? And the answer is build their curiosity. So essentially if you just give away the farm or you understate what you can do, then they lose their attention and interest. Essentially, let’s take a company name like my company. It’s called Training Business Pros. Well obviously in that title is what we actually do. We train business pros. And I think, while that might be powerful, a headline which would make it more powerful would be one that makes me curious. Not just tell them what we do but make them curious enough to download something, to read something. To continue through the process. And if people were to for example go to my website right now, there’s a couple of choices that they could make. And it has to be crystal clear on what the choices are. If you overload people, if you give them too many choices, they tend to get confused. Jason Hartman: Yeah I always like to say that old saying, a confused mind always says no. It’s got to be simple. Paul Tobey: Thank you. That was very well stated. Keep it simple, but also make it hypnotic enough to capture my attention. For example, think of the word, I’m going to ask your audience to do one little test, okay? Go ahead and think of the word whale. And I’m sure amongst the thousands of listeners that you have, you’d probably get a thousand different pictures. Somebody might be thinking of a Killer Whale, somebody might be thinking of a Beluga. People might think spout or water or sea, but each one of them creates a different image in their mind. So it’s not essentially the picture that creates a thousand words, it’s one word or one sentence that creates a thousand different images. And just to prove my case, most people went immediately to the image when I really didn’t ask them to think of a whale. I asked them to think of the word whale. W-H-A-L-E. But what immediately happened was as soon as you hear something, your mind grabs a hold of that and proves a point which is people think in pictures. And if your website says Training Business Pros, that’s not a complete picture. What might be a complete picture is, where would I end up if I were to take a course? Where would I end up if I did this? What’s in it for me? And that’s essentially hypnotic copywrighting. You need to use every imagery, visualization, hypnotic connectors, you could say Training Business Pros or you could say Essential Training. They’re two different things. It’s a hypnotic connector. It says I can’t do without. Jason Hartman: So, I mean expert copywriters, they just agonize over every single word and sometimes they agonize over taking words out and making copy more punchy and more concise obviously, so it’s really that big a deal. If I’m looking at your website now, right? And you’ve got two basic choices people are presented with when they come. Now there’s a lot of content here obviously because the nav bars present a gillion different things. But basically hear 3 hour internet marketing training seminar or how to market yourself in just 5 easy videos. Paul Tobey: Right, so one is live and the other one is do it yourself. Does that make sense? Both of them are free. And essentially what I’m trying to do there is, if you say to somebody how to market yourself in just 5 easy videos, it’s pretty clear what that is. It’s obviously 5 videos. And if I were to start up my own business, if I were to get better at marketing my own business, I’m obviously going to have to learn some things that I don’t know how to do. And that’s essentially what successful people do. They constantly seek out information. And all I need to do from a hypnotic perspective is make it crystal clear. And you might be interested to learn, if you actually click on that, go ahead and click on where it says how to market yourself in just 5 step by step videos. Did you notice that the image actually changed when you get there? It says how to market your business. Jason Hartman: Oh right, right. Paul Tobey: In just 5 step by step videos. So essentially you’re capturing the people that want to market themselves, if that’s the way they look at it, and you want to capture the people who want to market their business, if that’s the way they look at it. And you’d be interested to know what the conversion rate of this page is. And do you know, Jason, what is considered by a lot of experts, guys like Ryan Dice, the people from Nitro Marketing, even Joe Vitale, so you know what they consider to be a high opt in rate for a webpage like this? It’s essentially a lead generator, right? It’s capturing people’s customer data. I’m asking for a first name and I’m asking for an Email. Obviously I’m delivering value. But do you know what they consider to be a high conversion rate on a free offer like this? Jason Hartman: I do not know. Paul Tobey: Well it’s essentially between 3 and 8 percent. So if you sent 100 people to this webpage, 8 of them to opt in would be considered a high conversion rate. Well after learning that for many years and being frustrated with the opt in rate, I obviously said to myself, what could I do more? What are the extra things that I could do to up the conversion rate? Which means spending less to send traffic, spending less time on SEO if I get a high conversion rate. But this page, based on the way it’s created and there’s a lot of information here from a lot of different people. Some of whom I’ve already mentioned, there’s some peak potential stuff in here, there’s some infusion soft information in here. And by disseminating all that data information I’ve put this page to a record setting 27.3% conversion. Jason Hartman: Wow. That’s good. That’s amazing. Paul Tobey: And that’s why it stands. But I didn’t test one page, I tested 20 pages. And so I test, if I’m going to initially buy traffic, just to find out if it works or not, I need to gauge first of all if I’m going to be spending money on sending traffic, I need to gauge whether this page is of value to other people. And I wouldn’t throw up one page and expect it to do something, I’d throw up 20 pages and I’d pick the one that comes out on top. I spend an equal amount on each page and by the time I’m done, I know which page converted way better than the others. Jason Hartman: Paul what is a really efficient way to do that? The A B testing or the split testing that you’re doing. I mean are you using a certain website to do that, to kind of manage that? A certain platform or I mean are you literally putting it up yourself and counting and keeping up with the spreadsheet? Paul Tobey: No, those days are over. There’s a lot of choices for doing stuff like that but by far and away the best one I’ve ever found to sort of manage this type of opt in conversion system and how to build leads and create business, I use a few different things. Number one is Infusion Soft. So essentially what Infusion Soft is, it’s an automated marketing system that says hey, we’re going to track the number of Emails that are sent out, the number of people that click on links, we’re going to test the amount of time it takes them to click on a link, it even along with other pieces of software that we just implemented, it allows us to track how much of a video people watch. And I’ve never really seen up until the last couple of years that type of software and company behind it that says we’re all about small business, so pretty much anyone can afford it. Jason Hartman: So we’ve been using Infusion Soft for several years now and we like it. And I’m actually starting a new show on Infusion Soft as well and another podcast. Because so many of our guests have broached the Infusion Soft topic and a lot of marketers use it and like it very much and we like it too. So that’s good, okay, besides Infusion Soft, what else? Paul Tobey: I obviously use an analytical system from Infusion Soft to kind of monitor what other things are doing, so if I’m buying ad words I can kind of merge the two together and they kind of pay attention to the metrics that I’m interested in. So if you just kind of mashed Infusionsoft with Google Adwords, you’re way, way ahead of the game. Now, there are some small other things I there that you could put, for example, Melody what’s the name of the company that we just added as an ad on to Infusion Soft? Plus This. So if you take a company like Plus This, what Plus This allowed us to do was an ad on to Infusion Soft which said hey how do we track people through from a learning standpoint, for example if they don’t finish video three, we can’t give them video four yet, so we want to make sure that we keep people on the learning track. Because people, I’m not sure if you’d agree with this, but people like to kind of skip to the finish line so it’s like trying to build a house without a foundation. And we want to make sure that when we deliver content, if we integrated something like Plus This, it would say hey this person only watched this video only like 60% of the way through. And to us that’s not enough to get the point. So what it does is it sends a message back to Infusion Soft, hey send out a reminder Email that this person needs to finish this video before they can get the next one. And it goes in this never ending loop that kind of keeps track of people’s behaviors and habits and it really allows you to learn a lot about the customer. Jason Hartman: And I think actually that we’re actually using Plus This. Although I don’t deal with that in my company, Brittany does. But I believe we’re actually using that too. I don’t believe we’re using it as well as you are though. Paul Tobey: Well everybody has their own thing, right? My thing just happened to be as an analytic, I wanted to really understand, because I started after 22 years in the music business I was absolutely flat broke. And one of the only things I had in common with my compatriots was that we all loved music, jazz that most people really don’t really listen to. And two we seemed to complain a lot, and number three we’re all flat broke. We’re like one gig, one tour, one record deal away from total financial ruin. And when everything fell apart in the aftermath of 911 for me, because my record label which was Arcadia, the largest sort of independent record deal in the United States, I had an 8 record deal with them. And they were three and a half blocks away from ground zero. And while they company’s still running, my recording contract kind of went up in smoke. And I was left with the rest of my life not knowing what I was going to do with my life. So I had to learn a lot of these things and when you’re an analytic like me, you don’t want to know it partially. I’ve written 9 symphonies. If you want to write a symphony you have to take some lessons. You have to have some experience. You can’t just go and write a symphony. You have to have some rules and some parameters. So there’s a couple of things that I think people are going to need to know if they’re going to do this type of thing. Number one, you have to know that are the people that I’m hiring, do they really know their stuff? Because I don’t want to do all this, but I need to know enough that when they bring me something like a Plus This and Infusion Soft that it’s doing all of the things that I need it to do. And if I don’t know what I need it to do, then I can’t make better decisions. So that’s number one. You have to repeat things over and over and over again until you really understand them. Like hypnotic marketing, you can’t just go one day I want to be a great copywriter. You have to train, you have to take some skill lessons. And then if you want to teach it to somebody else, you have to have experience to do that. So you have to have the discipline to repeat things. And number two is you have to be emotionally involved. I learned that from Brian Clemmer, I even went to Walk on Fire with Tony Robbins once. I mean, these guys, they [0:18:36.6] me to kind of look at things from two perspectives. Number one, learn some things really solidly and have the discipline to do that but number two, you’re not going to do that unless you have some emotional involvement. What’s in it for me? What’s in it for my family? What’s in it for my network? My community, my province? My church for that matter. I mean you have to have a reason why you’re going to do this type of marketing. And you mentioned to me that you have, what you said in your office, what was her name? Paul Tobey: Brittany, thank you. I have not had the privilege of talking to Brittany yet, but if I don’t know marketing, do I really know enough to keep an eye on what Brittany’s doing? And if she comes to you and she says well I’m an expert in all of these things, how do you know? You don’t know. So I’ve made lots of hiring mistakes and I’ve made lots of, I’m sure you’ve made some as well. But you can’t learn business unless you’re willing to take the risk and make some mistakes. Jason Hartman: Yeah, of course, of course. Talk to us a little bit about data mining. This is of course a huge topic. There’s a giant industry build around the concept of data mining and we don’t even have to broach the subject of the NSA and their disgusting invasions of our privacy. Not just US citizens, you too in Canada and everywhere in the world. Unbelievable. But talk to us about data mining and how we can actually use this in small businesses as individual marketers? What can we do with data mining? What’s open to us? Paul Tobey: Okay. So first of all what I would say is yes, is some data mining an invasion of our privacy? The answer is, based on everything that you just said, yes. And I think most people would agree with that. On the other hand your businesses that are listening to this and no matter what business they’re in, I’m sure that if they were to take a look at the products and services that they offer, do they feel that what they’re offering is of value to other people? Jason Hartman: Yeah but that’s not what I was saying. What I’m saying is that when government does it, it’s wrong. When businesses do it, I have the choice as to whether or not I want to use that business. I don’t have the choice with government; I’m required by law to play their game, so it’s quite a different thing. Paul Tobey: Understood. No I agree with what you’re saying but I’m also saying from the perspective of the audience what can we, if our businesses and our products and services are actually of value to other people, then we have an actual duty and responsibility to data mine. Because if we truly believe in what we do, and the message that we have, and the products and services that we offer, we have a duty and a responsibility to mine our customers to make sure that the customers that actually need us, we’re helping them get what they want. And if your products and services help people get what they want, if you help enough people get what they want, you can have what you want. So you actually have a duty and responsibility to data mine. So let’s just agree that in the right hands, it’s a good thing. What is it exactly? Well, are you still in the landing page for TrainingBusinessPros.com? Jason Hartman: No, I went off of that. Jason Hartman: That’s within one’s own database, sure, and their own engagement with their prospects and customers and that’s great. I thought you were going to address the subject of the big data mining world and how we could use that. Taking our own list and appending them with more information. That kind of stuff. We haven’t explored that topic too deeply on the show although I get approached by companies that want to do it for us frankly, and we’ve never done it. Btu it’s kind of interesting to think about. Paul Tobey: Well I think essentially what you’re saying is tracking customer habits. And while this is the initial step, I’m going to track their customer habits through the entire process. And when I deliver them the videos I’m going to know how many people got to video three. That’s data mining. And so you can do it in a minor way with just asking one question or you could ask questions throughout and you can keep doing this until you found out enough about people that you say oh I know demographically who the audience is I’m trying to serve. And the original question was how do you data mine for business. If you do it in a small way or a big way, that’s essentially what data mining is. You’re basically looking at the habits of your audience and tracking them through the system and the more they do the more you know. Jason Hartman: Absolutely. Well talk to us if you would about any social media tips, of course social media has been all the rage the past few years, anything to increase leverage, grow reputations, we hear a lot about it. But any other tips that you have social media-wise? Jason Hartman: Well, I didn’t ask you how to use the internet for your business. It was a little bit narrower. Paul Tobey: Well that question I could probably answer. Because social media is a spoke in the wheel of internet marketing. If you don’t have a solid conversion system on your website, I think you’re missing an angle that you could explore. For example if you had 5,000 Facebook friends, what do you do with them? And there’s a lot more things that you can do with a website than you can do with Facebook, so the two work hand in hand. I can give you my perspective and the ones that I use, LinkedIn is a great one for networking. I use it extensively to communicate with different demographics. I use Facebook advertising, I also use, I also have a Facebook fan page, not known as a Facebook page, formally known as a Facebook fan page. Jason Hartman: Are you using Twitter advertising yet? Paul Tobey: Not Twitter advertising, no, but we do use Twitter through a social media aggregator called HootSuite. Where we would save a little bit of time by marketing to all of those networks at the same time. Twitter’s a great search tool. I love Twitter for finding out what’s happening with people’s businesses, I keep in touch with people through Twitter. It’s a great communication tool because it doesn’t take a lot of time to do. And get set up and typically you want to have a lot more people following you than you’re following. But you pick and choose the people you want to follow. A lot of other of the smaller social media networks like Pinterest, and a lot of that is coming along and we’ll know in time but I’ve always found that if you spend more time on your conversion system and more time on the Google Generation traffic system, you’re going to get a lot more bang for your buck. Social media will then help you to stay in touch with people, communicate, do some networking, let people know. Twitter works really great at conventions and conferences like when I’m speaking from stage, people will Tweet things I say and I’m sure they do it all the time for your radio show. And that’s essentially the way I use them. I mean, there’s a lot of detail in there and a lot of time spent, but I think most people, I think if they updated their status on each of those three networks Facebook, Twitter and LinkedIn at least a couple of times a day, that’s probably enough to kind of build an audience. Don’t say anything that isn’t of value to other people, don’t do any marketing, nobody joins social media to hear about your offer for this and your offer for that. Jason Hartman: Right, it’s got to be give first and get later. Paul Tobey: Yeah, help enough people get what they want and you can get what you want later. Jason Hartman: Zig Ziglar said it all too well. Yeah that’s a great quote. Hey Paul, just before you go, you did mention speaking and I know that you do some training in helping corporate leaders to give better presentations. A couple quick speaking tips before you go. Paul Tobey: How much speaking do you do? Jason Hartman: Well, I do quite a bit of speaking. But some of our listeners are new or maybe they’re in the internet marketing side or the publishing side and they want to do more speaking from platforms. Paul Tobey: Okay, so there’s a couple of types of speaking. Number one there’s the speaking to deliver value, and that’s what we call being a great speaker, being a great communicator. The second side of it is, and I’m sure your audience would agree, do you want to be a best writing author or a bestselling author. So essentially you have two types of speakers, you have the ones that deliver great value and then on the other hand you have the speaker that delivers great value but also is good at selling something. And essentially what I needed to learn was how to generate business through speaking and I think if I were to give some tips on that perspective I would say try to use a template that is used by people that are good at that, and then only modify it when certain things that you do don’t work. Because if you go into a presentation and you only focus on the content, I’m sure that you’ve heard the saying that when somebody takes something out of context, it means something completely different. So you have to have good context and context means how do I engage my audience, 100% of them 100% of the time, keep them enrolled and engaged to the point there they’re curious enough to take the next step. And that’s essentially what I think most people are not familiar with. And the best way I think that I’ve learned to communicate with people through speaking, is to simply ask a lot of questions. I wrote a book on it called Suggestology. Actually if people went to my website and downloaded the How to Market your Business in 5 step by step videos, if they downloaded that they’d eventually find out about my book. It’s called Suggestology and it’s basically the art of activating somebody’s natural will to learn. And if people were to come at speaking from that perspective, not trying to impress, but trying to impress upon people that there’s a better communication system. And that communication system says I need to activate your will to participate in this thing. And I’m sure your audience would agree that if you participate in something, you get a lot more out of it. And that’s the kind of speaking that I learned to do. Jason Hartman: Absolutely. Great thing, great thing. Well Paul, give out your website and tell people where they can find you. I think you’ve got two of them, right? We mentioned Trainingbusinesspros.com, but you have another as well? Paul Tobey: Well actually I have, if they just go to about.me/paultobey there’s a link to everything. You can find links to my online music, you can find links to the business, you can find links to Twitter and Facebook, so it’s about.me/paultobey and that will give them everything they need if they want to find anything. Jason Hartman: Excellent. Paul Tobey, thanks so much for joining us today. Paul Tobey: Hey, it’s been my great pleasure and you are fabulous at what you do. Thank you for the opportunity. Grow Business Profits Through Automated SeminarsFake Tweets as a Generation C Business Model?